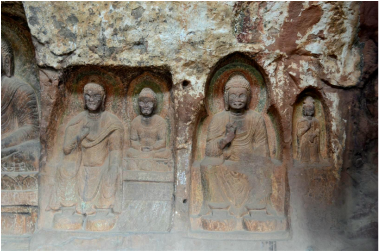 The Shibaoshan rock carvings are over 1300 years old and evidence of the spread of Mahayana Buddhism into Yunnan from Tibet. Representations of the bodhisattva Guanyin and other Buddhist images are carved into the rocky mountainside. Spend a day at the grottoes or just hike around the temples through the lush forest - perhaps you'll be lucky enough to come across a group of monkeys. Go to the historic site by vehicle (40 minutes) or take the scenic 2 hour hike from the Old Theatre Inn. The Friday market in Shaxi's Sideng Square is one of Yunnan's finest. On this day, minority peoples of the Yi and Bai come down from their mountain villages dressed in their finest attire. The market serves as both a meeting place for friends and family as well as a place to trade for goods hard to come by in the mountains. The animal market is one of the most interesting features. Pigs, cows, goats, sheep, ducks, and chickens are traded openly in a large field adjacent to the main road. Fresh goat cheese dishes - must try! A great selection of Chinese and imported wines from around the world courtesy of Torres China. The Pear Blossom serves some of the best Shaxi pizza and organic dishes, as well as a wide variety of vegetarian and vegan choices. Happy hour with a selection of local and imported beers! The matsutake mushroom - 'pine mushroom' in English and 'songrong' in Chinese - is one of the most sought-after mushrooms in the world. Most of the world's supply, the Japanese being the largest consumers, comes from Shaxi's surrounding mountains. Between the months of July and October, go on mushroom hunts with local experts. The mushroom gatherers will take you deep into the hills and teach you how to discover and distinguish between a diverse species of native mushrooms. If you're looking for wonderful Italian Shaxi pizza, this is the best place in Shaxi. Tom, an chef from Luxumbourg. has created a happy and unique pizza kitchen in Shaxi with Tumu Kitchen. Tom also serves pasta and steak in addition to wonderful value wines from South America, Europe and China. There is no better Shaxi pizza kitchen than Tumu's in old town. 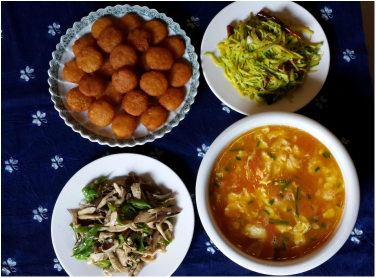 Tumu Kitchen is also the best vegetarian restaurant in Shaxi Old Town. You can also order take away dishes including his delicious Italian Shaxi pizza. Come for an amazing experience at Tumu Shaxi pizza kitchen! One of the best places in Shaxi Old Town to people watch or have a secluded and private drinks experience. The Old Street bar is one of the earliest bars in Shaxi Old Town and is run by the charming Ji Ying, a Dongbei girl who is a wonderful hostess. Tell her Chris sent you if you want the private Japanese style room upstairs, one of the most romantic Shaxi bar experiences.